MJPM offers Daily Special discount prices with FREE SHIPPING! Buy American Eagle fractional gold coins, 90% silver coins, silver rounds and bars, slabbed certified Morgan silver dollars at bargain prices. Check often for deals on platinum eagles and bars, collectible PCGS and NGC certified coins and currency at discounted prices! MJPM.com quality and value since 1984. 1/2 oz. Certified American Eagle Gold Coins are ON SALE NOW! We have one lot of 5 - 1/2 oz. 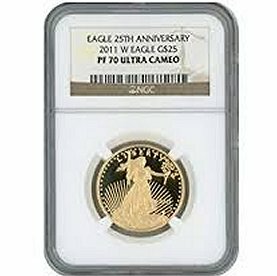 American Eagle gold coins certified by NGC as PROOF 70 - ULTRA CAMEO. Terrific quality. Buy 5 coins for only $795.00 per coin! A HUGE SAVINGS AND SIGNIFICANTLY LOWER THAN WHOLESALE PRICES!! NOTE: The highest numeric value/grade condition for proof or uncirculated possible for any coin is 70! Our Special includes FREE SHIPPING, HANDLING and INSURANCE. 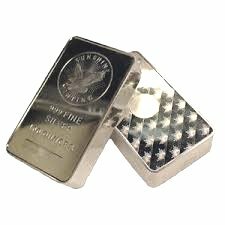 MJPM - Your source for buying and selling bullion gold, silver, and platinum coins and bars at extremely competitive prices! 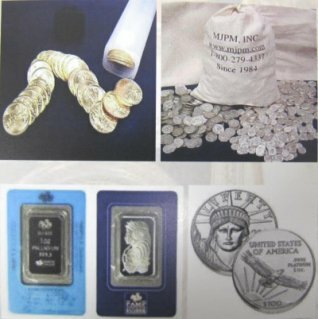 MJPM buys and sells all types of collectible U.S., Foreign and Ancient coins and currency - we have been recognized professional numismatic industry experts since 1982. Stop by or call with your coins/currency for a free consultation. We also buy diamonds of 1/2 carat and larger - we especially love to make offers on diamonds over one carat and larger! We buy sterling silver flatware and sterling silver bowls and platters. Our Special is now sold out. 1/10 oz. Gold Eagles on SALE! Buy a U.S. Mint Treasury roll of 50 - 1/10 oz. 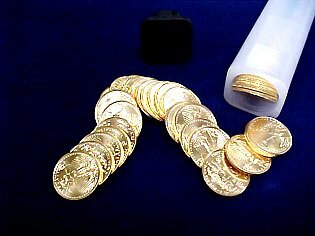 American Gold Eagle Fractional coins in their original brilliant uncirculated condition. Our Special only is sold out! A MJPM TOP SELLER! The 100 oz. CERTIFIED SUNSHINE .999 fine Silver Bars are on sale now for only. . .
SILVER SPOT PLUS *** Our Daily Special is sold out - Thank you! Our Special is sold out! 1 oz. 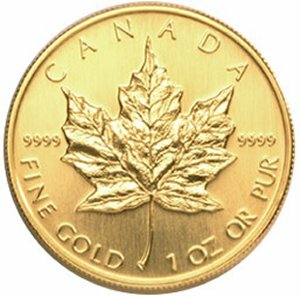 Gold Maple Leaf Sale! We have the 1 oz. Canadian Maple Leaf Gold Coins ON SALE NOW!Buy a 1 oz. Maple Leaf Gold Coin in brilliant uncirculated condition for only . . . GOLD PRICE PLUS *** Our Daily Special has sold out *** Thank you! Our Special INCLUDES FREE SHIPPING, HANDLING and INSURANCE WITH THE PURCHASE OF 20 COINS. Your source for Gold & Silver coins! MJPM is your source for consistency and reliability for pricing for the most popular Bullion Gold and Silver products, Collectible Coins, Rare Coins and Paper Money, Platinum and Palladium coins and bars. Consider driving to MJPM for your personal and FREE consultation with Michael. You will find it well worth a drive to save a lot! Our MJPM Daily Specials include a nice discount price with Free Shipping, Insurance and Handling charges!